Just as most CRNAs believe teamwork is the best solution to providing anesthesia, CRNA Financial Planning® believes that a team approach adds a broader perspective to all they do and provides increased benefits to their clients. Whether coordinating tax planning with a CPA or helping clients work with an attorney set up a new business for a CRNA, the firm's focus is always on building the best plan possible for their clients. The team at CRNA Financial Planning® has over 50 years of combined experience working with CRNAs. The firm is a strong advocate of education and participates in speaking engagements throughout the year. Through their work with numerous CRNA clients, as well as participation in SRNA financial management training, the firm is knowledgeable about the financial opportunities available to those in this profession. 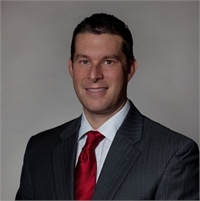 Representing CRNA Financial Planning®, firm founder Jeremy Stanley, CFP® has spoken at many CRNA state meetings, groups, hospitals, and anesthesia schools where he has imparted the firm’s wisdom to students and practicing nurse anesthetists. Jeremy Stanley, CFP® is the founder of CRNA Financial Planning®. He has been providing advice and guidance for Certified Registered Nurse Anesthetists (CRNA) for over 18 years.